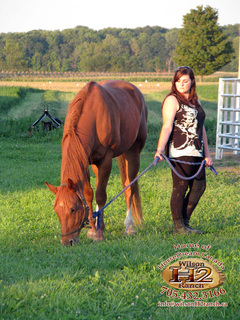 At HorseDream Canada, our primary facilitators are 1000 pound four-legged animals that communicate in a foreign equine language with their very own horse-analities. They have an astounding ability to teach you more about yourself as a leader and team-member in one day than you can imagine! Horses react to you exactly as you present yourself, reflecting your leadership style, how it's perceived and received. Through experiential learning with our horses, you and your team can develop greater self-awareness, hone your collaboration and communication skills, and learn to grow beyond the edges of your comfort zone -- all essential to becoming more effective leaders and team members. Sonny is a champion reining horse who loves to do sliding stops. 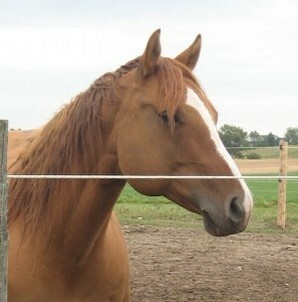 Gentle and sweet, Sonny is one of most beloved HorseDream Canada horses. Retired show horse, Tucson is the ultimate all-around boy. He can jump fences or work cattle. Curious about others and always willing to please, he will follow you if you lead. Chick is the ultimate cow pony. He loves working cattle, running, and spending time with his best friend Tucson. Chick is a fun boy to ride or just hang out with in the field. 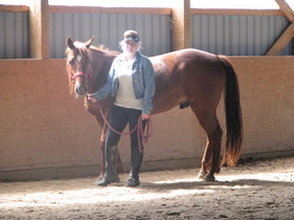 Ozzy comes from a professional reining background. 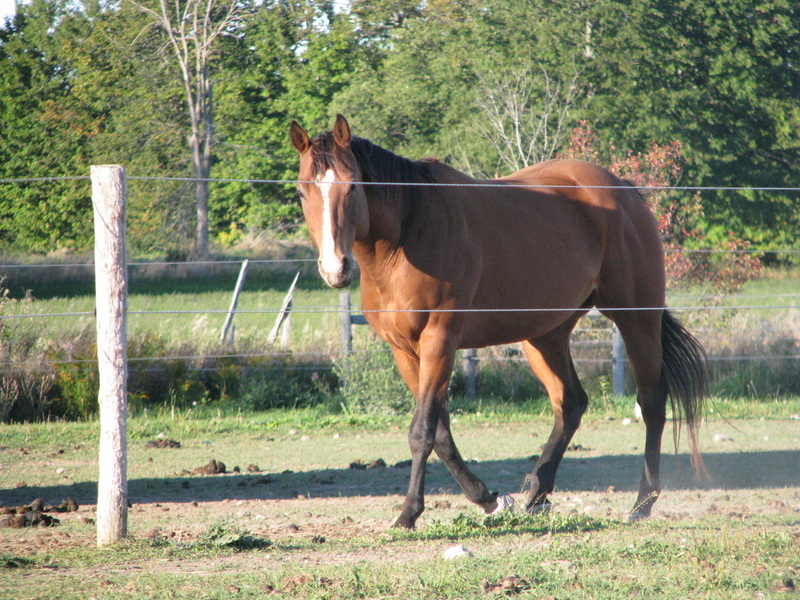 He is a very laid back gelding who loves to spend time outdoors with his horsey friends. He is eager to please and honest as the day is long. We call him Peanut for a nickname as he is such a sweet little gelding! 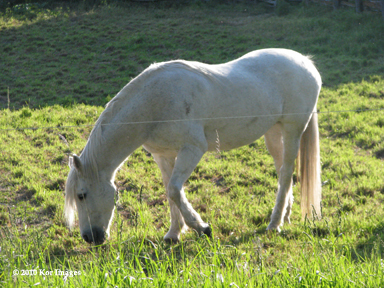 Tridun is a sweet and friendly 10 year old gelding with a unique name and a unique spirit. Hi mother Tessa's registered name was Shadow of Triumph, and his sire's name is Dun it You Won It. Put them both together, and you get the gentle and playful Tridun. Born a beautiful dun colt, Tridun has greyed out like his Momma, Tessa, and is now a unique mottled grey-dun colour. Tridun loves carrots, walks in the fields, sharing his grain with other horses, and back scratches. Tessa, our beloved old mare, taught countless numbers of people how to ride and won in the show ring many a time over her 31 years of life. Tessa had the most soulful eyes you will ever look into. She raised three beautiful foals, Faith, Sassie and Tridun. She brought peace, healing, happiness, and fun to all of the humans she has touched over the years. 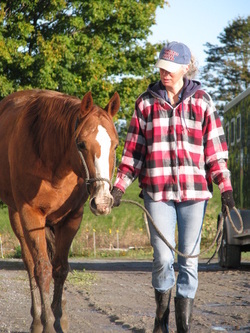 Tessa passed away in the Spring of 2013, surrounded by humans and horses that loved her.